Solaria Corporation, global provider of solar module technologies, announced that its flagship solar module, Solaria PowerXT, has been selected as a finalist for the 2017 Intersolar Solar Industry Innovation Award by an esteemed panel of industry judges. 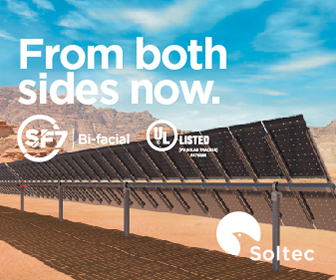 Solaria PowerXT™ was among the impressive innovations submitted in the photovoltaics category in 2017. Solaria PowerXT is a high-performance module delivering 330Wp and a module efficiency of up to 19.3%. 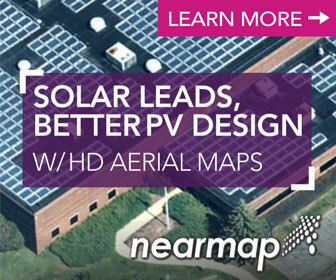 The module consists of overlaid monocrystalline standard solar cells for a more efficient use of space. The modules are manufactured with black backsheet and frames, giving them a striking appearance. Celebrating its 10th anniversary, the Intersolar Award honors pioneering products and solutions in the solar industry. It is presented by conference organizers in cooperation with a top-class panel of judges who evaluate products, projects, services and solutions being exhibited at Intersolar in 2017. Submissions must have been presented for the first time at one of the exhibitions, or have to be refinements of previously presented products and services. The winner of this renowned industry award will be selected from the finalists on May 31, 2017 at Intersolar Europe 2017, taking place from May 31-June 2 at Messe München.